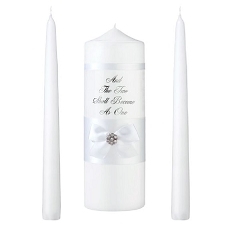 Add a symbolic touch to your wedding ceremony with these lovely unity candle sets. 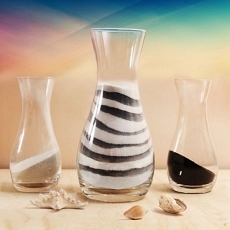 The 3 piece set is made of sturdy poly resin with a pearlized finish. 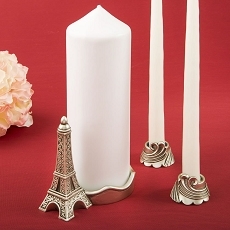 It features a large pillar candle holder that has a cut-out interlocking heart design, further symbolizing the joining together of two hearts. 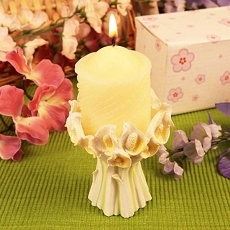 Also included are two taper candle holders that have a stunning Flourish matching design. 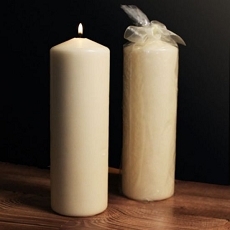 Pillar and taper candles are not included. 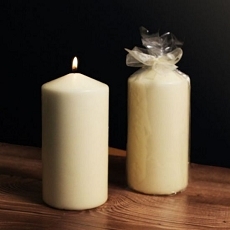 This favor will perfectly showcase the ambiance of your romantic occasion, making this a truly special gift for your guests to take home.